A top innovative leader in brass manufacturing in the world for 60 years, Schilke is proud to present the completely new Model i32 Bb Trumpet. The i32 features include the classic Schilke reverse leadpipe design, a .460″ medium-large bore with an all new #2i taper Yellow Brass Bell in silver plate finish. Versatile and responsive, the i32 is flexible enough to work in any style or genre and is ideal for every level of player. Old world craftsmanship and 21st century technology combine to allow a competitive price while creating an instrument with professional features and playing characteristics. 100% built by Schilke craftsmen located in Melrose Park, IL, USA. 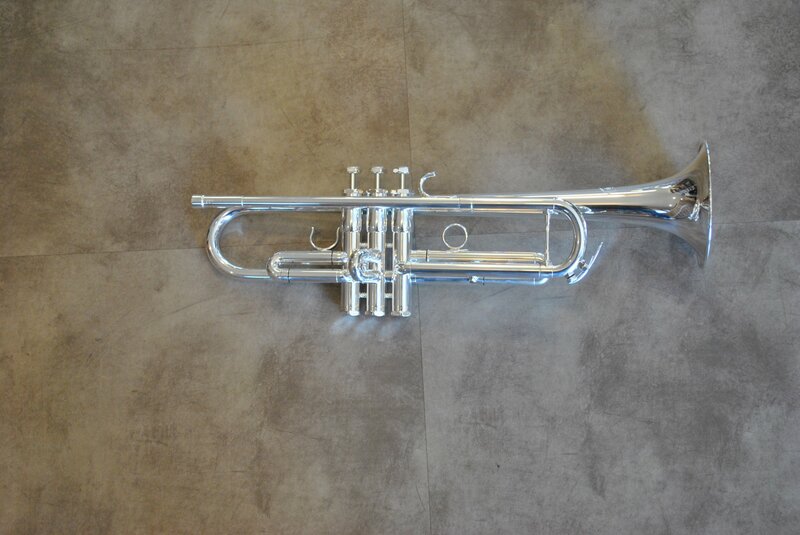 Includes lightweight case and Schilke 15 mouthpiece. INCLUDES FREE ULTRASONIC CLEANING WITHIN 1ST YEAR OF OWNERSHIP!